Whilst I've enjoyed the break from here and creating new types of content I have really missed it! 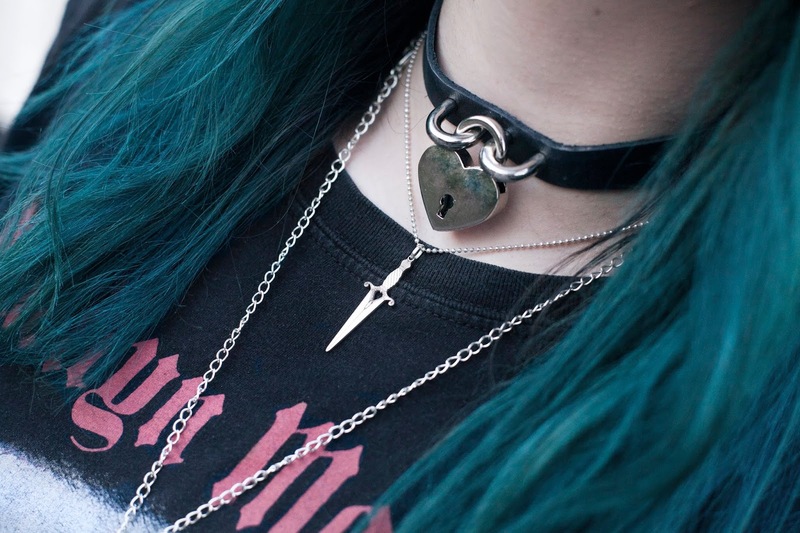 I still have loads of ideas with what I want to do with this blog and potentially expand on to Youtube with more style videos and some DIY ones too. I just need to get my arse into gear! 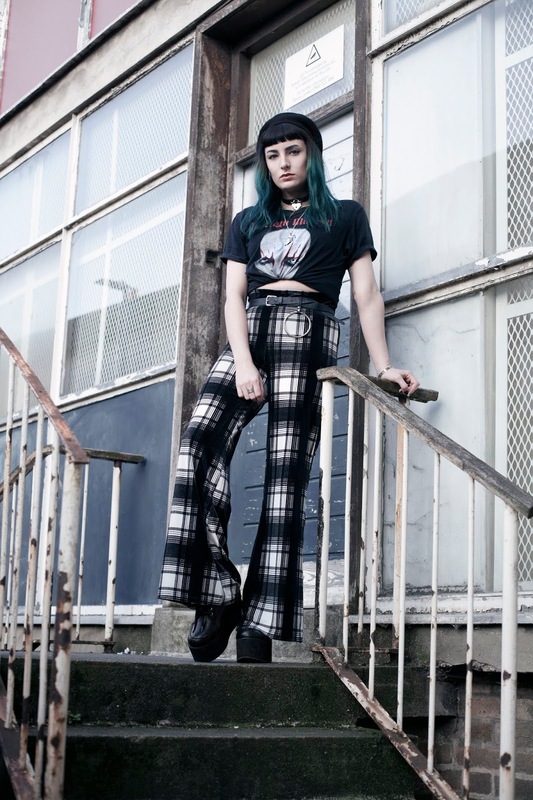 So I shot this look around the end of February when I was sent these cute trousers from One Above Another to style. 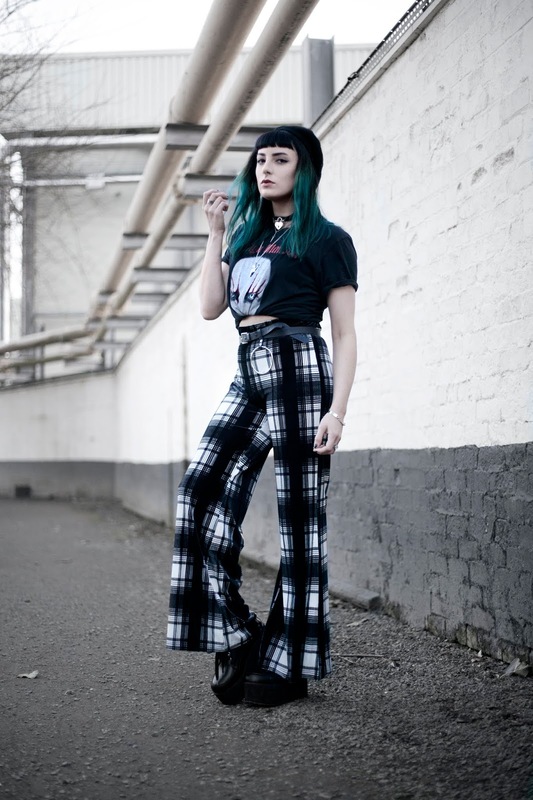 I have to say it has been years and years since I've worn a pair of flares, they're constantly going in and out of fashion from 70s bellbottoms to the extreme 90s skater flare, but for now they seem to be here to stay. I love the way these velour flares fall on my body, they're really flattering and make my legs look crazy long! It's fun to play around with a different silhouettes every now and then, to take yourself out of your comfort zone. 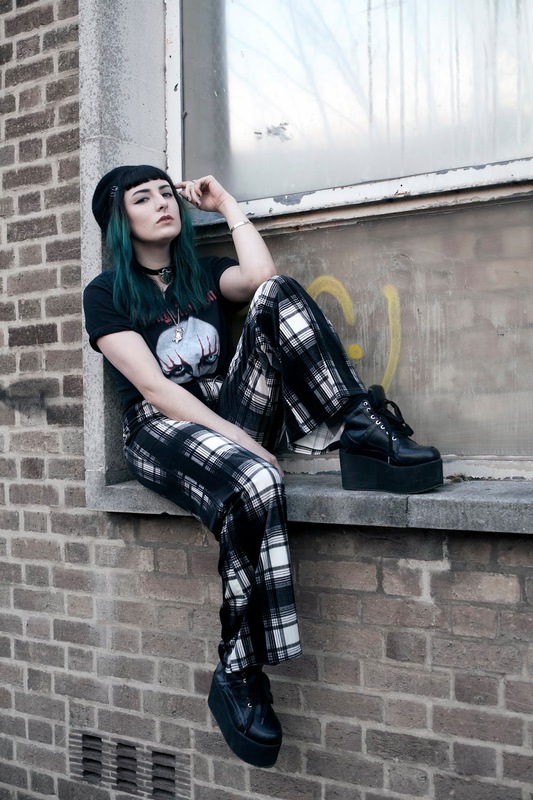 To elongate my legs even more, and stop the flares from dragging, I threw on my favourite pair of platform trainers, giving the look a major Goth Spice feel! 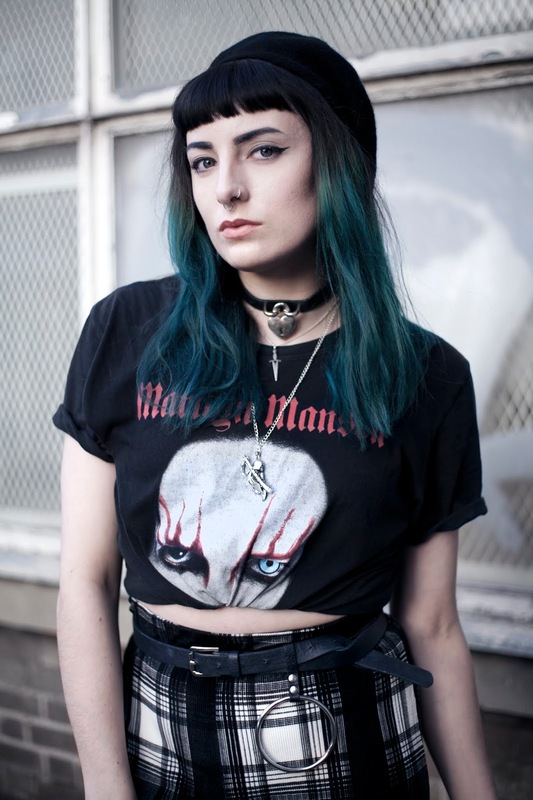 I carried on the goth vibe with my Marilyn Manson t-shirt, as it's quite a baggy top I decided to tie it with a hair tie and tucked it underneath. This breaks up the silhouette and gives more shape to my body. 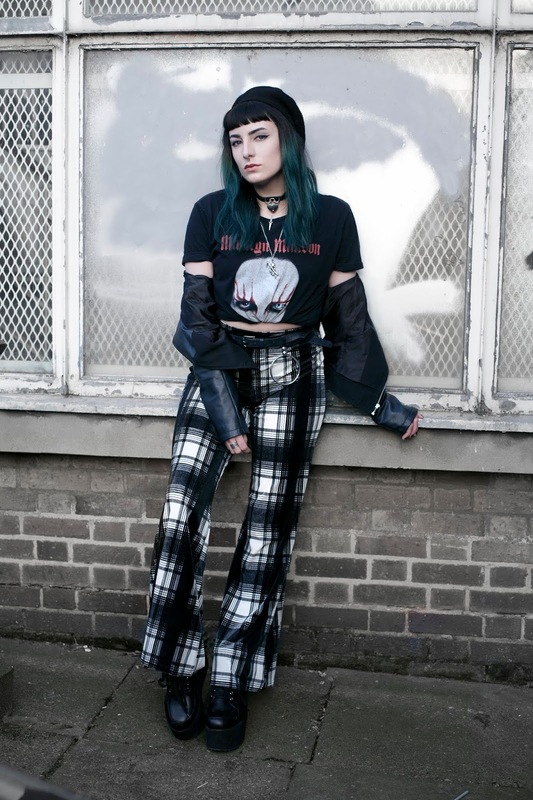 It's one of my favourite ways to style an oversized band tee, it turns it into a crop top without fully committing to cutting up your t-shirt. I finished off the look with lots of accessories, including a belt, beret and lots of necklaces. I like the contrast of all the silver against the almost monochromatic outfit, it really makes it pop and ties the whole look together. I really like this outfit it's so different to what I'd usually wear, especially the trousers. It's the first time I've worn proper baggy trousers since the early 2000s when I was going through my skater / grunge phase. I've dressed them down for this look but they would look so good dressed up with a pair of chunky heels, a strappy top and a blazer. 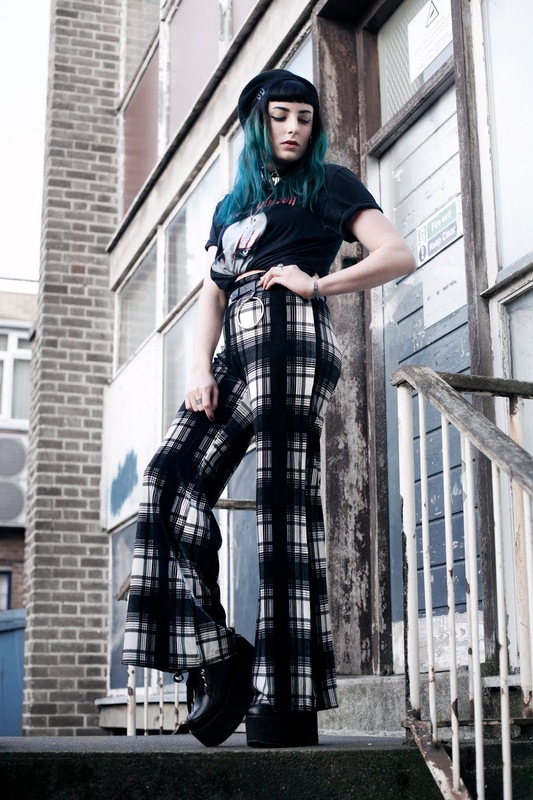 Do you like to wear flares or are you more of a skinny trouser person? Items marked with * have been kindly gifted to me. All words and opinions are my own.